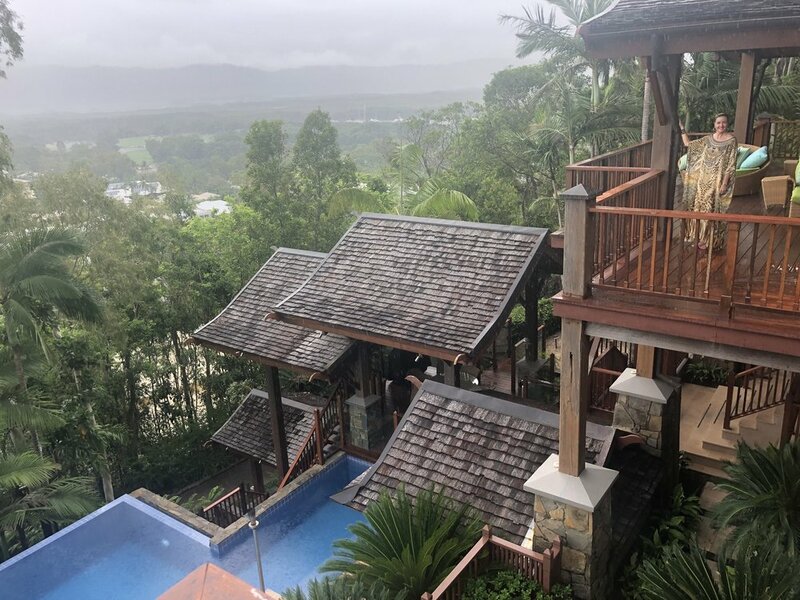 The YOU HAVE A VOICE SUMMIT which was held last week at a luxurious private villa in Port Douglas was one of the best experiences I’ve EVER had. Ten AMAZING people came and achieved miraculous breakthroughs! We had an incredible time starting with a lovely welcome ceremony including champagne, fruit, chocolate, cheese, humous, crackers, and juice cocktails. 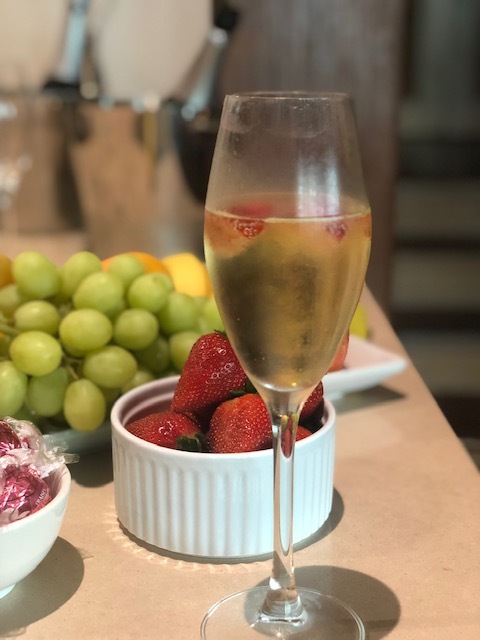 Our schedule consisted of daily morning beach walks and stretching, swimming in the glorious infinity pool, a private chef with sensational healthy food, (that’s no understatement....it was truly out of this world!) powerful transformational coaching sessions, and a final night concert by the pool accompanied by a five course meal! The overall plan also included time to reflect and have down time. There was one free day where some sailed out to the iconic Great Barrier Reef, some relaxed at our beautiful villa, and others explored the shops and restaurants in Port Douglas. It was all soooo epic! An added bonus was that everyone received a complimentary massage from my dear friend/assistant/singer/songwriter/bringer of fun, Katherine Vavahea. What a gift to receive a body treatment like that in a stunning tropical environment with beautiful oils and creams! Mine was at midnight and everything was still and quiet. Balmy and perfect. I’ll never forget it. I had envisioned an event like this for a while and it was pretty remarkable to create it and bring it into reality. I’m so proud of each person who attended as they all participated fully. Everyone was so loving, generous, and fun. It was inspiring to say the least. It really was life changing. I would absolutely love YOU to join me on the next retreat! The location for Song of Your Life Retreat is twenty minutes drive from Forster on the mid - north coast of New South Wales. Dates are: May 31 - June 3rd. Imagine warm fires, a private chef, 100 acres of stunning nature and lake views, daily rainforest walks, complimentary massage with Kath for every participant with gorgeous oils and creams, lavender oil Epsom salt baths, plus ten POWERFUL coaching sessions. The final night has a three course five star meal and the whole retreat has time for you to relax and reflect as well. Every single person who attended last time has made MIRACULOUS and VISIBLE progress in only six months. Wow. Check out the details here and book your spot! Finally, I have a REALLY exciting announcement. I’m launching a brand new one year course called the YOU HAVE A VOICE ACADEMY. I feel so excited about it and I don’t want you to miss out. If you follow the coaching, you’ll hardly recognise yourself in twelve months. You’ll achieve breakthroughs and upgrades like never before. This is an amazing and important course with limited spots and is for anyone who is ready to go to the next level in life. Please reply to this email if you’re interested to find out more and I’ll send you the details immediately. We kick off in March and some spots are already taken. This is also the perfect way to receive personalised ongoing coaching to bring your deepest desires to pass. I truly hope to hear from you! Always remember, You Have A Voice!